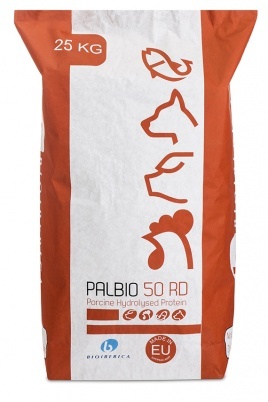 Palbio is a fluid-bed dried protein hydrolisate derived from the pharmaceutical production of heparin. It has an exceptional characteristic and high digestability that aids in increasing feed intake, diet digestability and the fast development of the micro-villi of animals. The ultimate benefit from it is a general improvement of the production performance and health of the animals. Used as a raw material for the manufacture of animal feeds. It provides high quality protein for animal diets for the initiation, transition and enhancement of growth of pigs, chickens, dogs, cats, fish, and crustaceans. Encourages intestinal development, aiding in maximizing the health and growth of the animals. Highly palatable, stimulates feed intake during the difficult weaning period or during transition between diets. Highly digestible, more than 97.5% of protein digestibility. 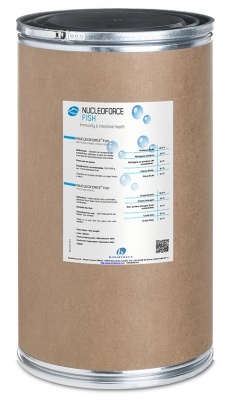 High degree of peptides, 37% of the crude protein are free amino acids. Totally safe and pathogen free.